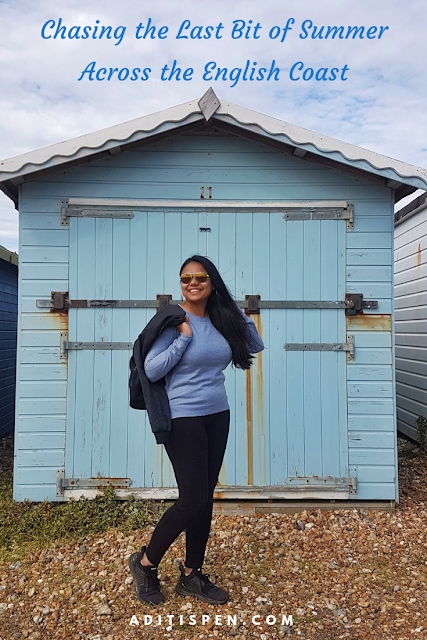 A week back, we explored the timeless Edwardian seaside town of Bexhill-on-Sea. 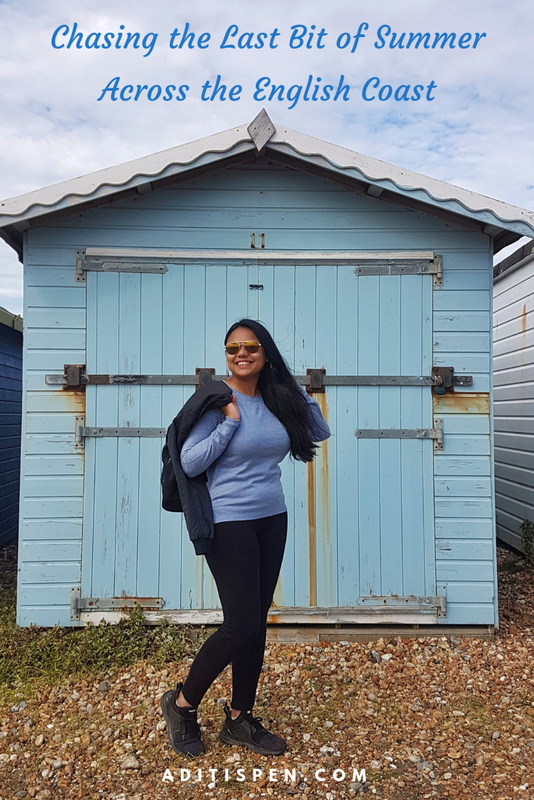 We had booked the trip at the very last minute, and our only plan was to relax by the sea, soaking in the tranquil surroundings. But at every step, the town surprised us, enticed us. 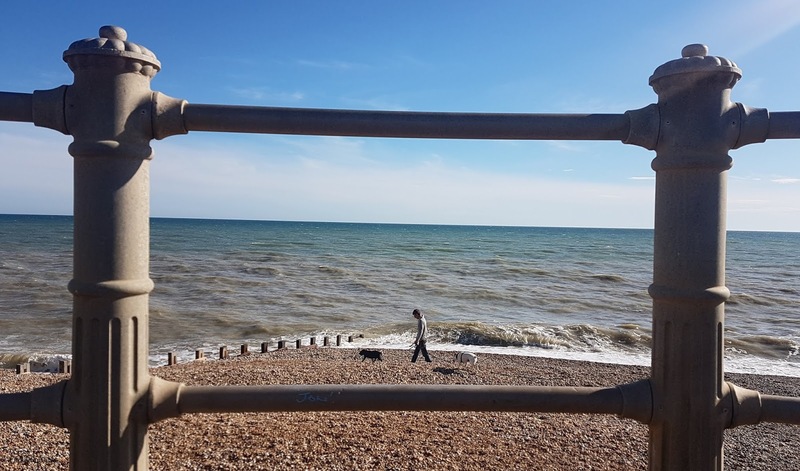 From its rich history, picturesque coastal walks to rich art and architecture, Bexhill sure came out to be East Sussex's best kept secret. On a clear sunny Sunday afternoon, we took a leisurely 4 miles walk from Bexhill to St Leonards, stopping in between to immerse in the coastal views - the beach huts, crashing waves, playful seagulls, fisherman's lines hanging off the pebbled beach, children with big happy smiles holding even bigger ice-creams, dogs playing catch - just all things joyous. Sharing few pictures from our walk. Our starting point was the stunning Colonnade. Built to mark the coronation of King George V in 1911, this architectural gem is a Grade II listed building. It's a large classical style structure with columns, both a part of history as well as modernity. Modern, because it forms part of a group with the De La Warr Pavilion (Grade I), which with its Art Deco and International style claims to be the first major Modernist public building in Britain. Just a few steps walking along the beach, we spotted another architectural gem. The spectacular Knole Road terrace (Grade II listed) on East Parade has a bold Victorian character to it. It's a group of six apartment blocks built in Queen Anne style, and viewing from the beach they offer such a wonderful contrast with the blue and white beachy huts! A short coffee break at Glyne Gap (Cafe On The Beach) introduced us to the three local heroes - Richard Ball, BMX rider, Spike Milligan, comedian, and Tyrone Wildman, sportsman, whose silhouettes stand proudly at The Portrait Bench, commissioned and built by Sustrans. Further East, is the Bulverhythe beach. The signboard on the beach says, " (it) is the stage for a dramatic tale of coastal change." This beach is getting lower due to longshore drift- shingle and sand move along the beach from west to east due to currents and waves. But the new rock groynes keeps the movement reduced and the beach protected. This beach is also steeped in history, being the site of the shipwreck 'the Amsterdam', the Dutch East India Company sailing ship which was run aground at Bulverhythe whilst on her maiden voyage from the Netherlands to Java, Indonesia in 1749. The top of this wreck is sometimes visible at low tide, and the Shipwreck Museum in Hastings run tours that tell of this dramatic tale. We then reached the Marina Pavilion at St. Leonards and rested our feet for a bit, watching people leisurely go about their Sunday. St. Leonards is fairly a new town, envisioned by James Burton ("probably the most significant builder of Georgian London") as a Victorian seaside resort. And at the centre of Burton's St Leonards was the Royal Victoria Hotel. Beauty of a hotel, isn't it? We had initially planned to walk up to the Hastings Castle, but instead took a wander around the picturesque town and walked into a green paradise in the Maze Hill area of St Leonards. The villas surrounding the St Leonards Gardens ooze sophistication, and I learnt later that famous names, including young Princess Victoria, the writer Rider Haggard and Rudyard Kipling lived here. This Clock House felt a bit out of place from the rest of the architecture of the town. A bit of Gothic style here. What do you think? Another elegant place is the Warrior Square - the gardens surrounded by fancy Regency houses with wrought iron balconies and the Warrior House hotel. We stopped for a bit here before heading to the station. We reached back Bexhill just in time for a beautiful sunset! How beautiful! I've never been, but this place definitely worth visiting. Whoa what pretty pretty pics; loved the ones of water crashing on the shore. The cutouts are stunning and I am sure the history is equally charming! What a gorgeous picture parade you have put up here Adi - absolutely loved them! 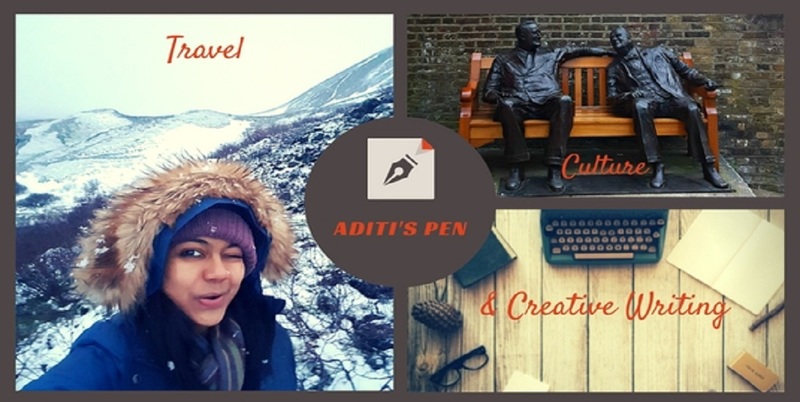 Loved the gorgeous pics, Aditi! Appreciated the bit of history that you have provided with your pictures too. Would love to visit this place.